Venus Zephyr is a birth and post partum doula,community herbalist, plant spirit practitioner, herbal re-sourceress, mother of Sela Jade, Artist, Activist and Community Organizer. She has studied plant medicine with teachers, healers and root doctors, and has learned the ancient art of spiritual plant bathing from Rocio Alarcon(Ecuador), Rosita Arvigo(Belize), Grandmother Dona Enriqueta(Mexico) and Pam Montgomery(Vermont). A graduate of Blazing Star Herbal School, Partner Earth Education Center in the modalities of advanced western herbalism and plant spirit healing. Venus has attended families as a post partum doula for the past 7 years and most recently completed in 2011 a birth doula training with Michelle L’Esperance of Warm Welcome Birth Services. Contact her at boneflowerbotanikals@gmail.com or soulflowerbirth@gmail.com. Birth is such a magickal, empowering and pivitol piece of a woman’s herstory! I am constantly amazed at how many womyn don’t know that they actually have choices about how they give birth, where they give birth and that YES, their bodies can do it too, they are resilient and they have the absolute right to birth exactly anyway they chose. It is actually a deep blessing to assist someone in labor and in their tender pregnancy and post partum times. It is a mystery how any of us find the strength and get to the other side of being mothers, and I remember so clearly how literally AWE-some it was for me, I knew about half way into my birth that I needed to help womyn do this too. I’m not sure I know another way to be than care taker and birth steward of life, babies, creations and in the role of impeccable discovering. BirthWork fills that place in me that knows we are all Holy-and Whole, and of course Ah-mazing Goddesses. 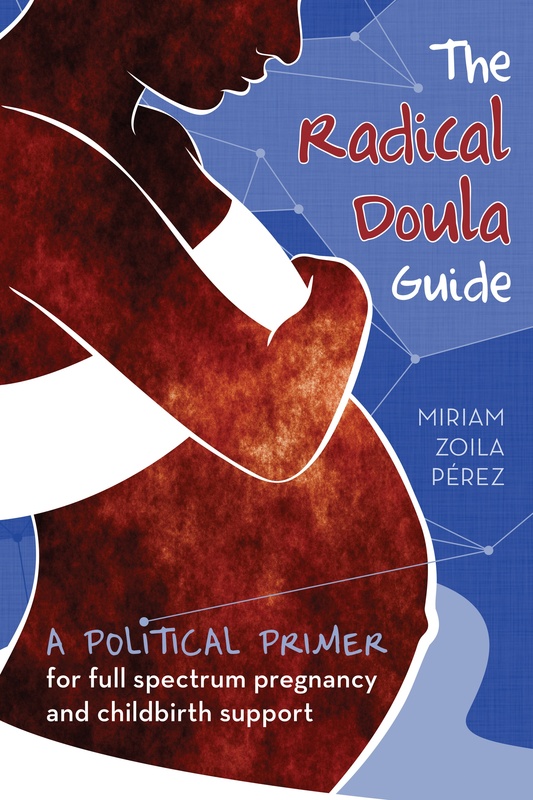 In general I would call myself radical, but defining myself as a radical doula comes from the not so radical idea that birth is something that simply happens if we allow the space and opening for it. In our culture however that truth is radical, because it isn’t what we’re taught, shown or led to believe in just about every forum, television, media, even childbirth education. The idea of being radical isn’t so much a way to define my style but more a way to get in touch with very simple truths about birth that are very much hidden and shrouded in main stream American culture. I believe in the fact that all women should be allowed to have the birth they envision and that all women have the right to birth support, education and attendance regardless of their background, race, or socio economic status. I am committed to providing doula care to all women. My philosophy as a doula is simple, birth simply happens. If we allow a woman the freedom to be in her body, to feel safe, relax into the process and feel supported inevitably her birth will progress. I am an activist at heart, and believe that the true essential nature of every being is to experience love and much of what I do as a doula and an activist is to cultivate freedom, to express, to live, birth and be as we are. To truly be free is not something most of us know, or that our culture teaches, more than a political belief, my work is about helping people become the most free and open they can be. My politics support that freedom, and to birth a woman needs to know she has that kind of freed up space within her and within her surroundings. Being fully open is the only way to birth, whether that be a vision, a world view, a baby, a creation. My doula philosophy which is also my way of life, is finding that pinprick of light at the openi ng and continue to expand that until the dilation naturally happens, life, politics, birth, death to me they are all doorways into something and thats where my jump off point is. Being around new life, holding the hands of promise and near perfection in babies and in the eyes of everyone who comes in contact with babies. It is hard to ignore the divine presence in the room when a baby is around. I find that working with babies and new families brings me as close to divinity as anything I’ve experienced. Helping a woman feel safe, supported and cared for is also one of the most inspiring parts of doula and birth work. Knowing that what I do and teach her to do will make her journey into motherhood and beyond an easier road is truly an amazing gift. If there was a way to bring birth back into the hands of women, midwives and ancient birthing traditions. I would want hospital births to happen only in extreme cases where there simply was no other way. Bringing birth back into the comfort of womens homes, surrounded by a tight knit circle of birth attendants and not modern medical tools and interventions. Giving birth back to women, that is exactly what I would change. Next Article What’s the goal of the doula movement?